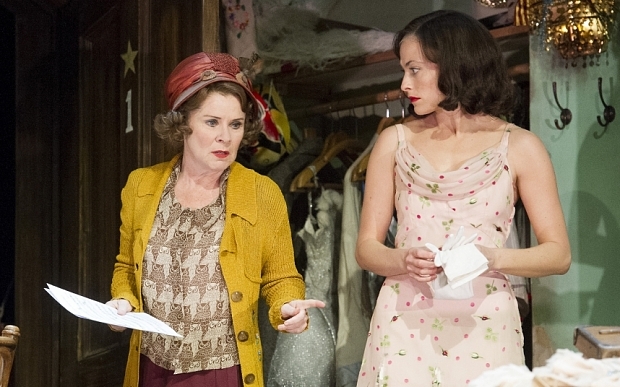 What more can be said about Gypsy?, save for the fact that it is all it is hyped up to be: a great big, ballsy, barnstorming, bravura performance by the brilliant Imelda Staunton in the musical many regard as the greatest ever written and astonishing that it has been over 40 years since its one and only appearance on the London stage. 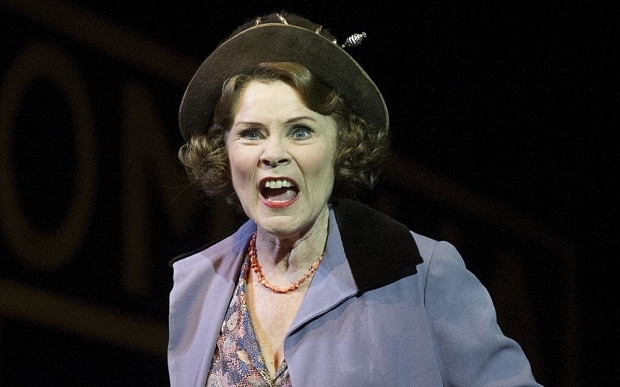 National treasure Staunton is in equal measure terrifying and electrifying as the showbiz mom to end all showbiz moms. She veers from comical pluckiness to frightening forcefulness throughout, but there are moments too of genuine tenderness in her relationship with the long suffering Herbie, her much put-upon beau. The book by Arthur Laurents and the music and lyrics from Jule Styne & Stephen Sondheim perfectly encapsulates the Vaudeville era, the desperation to ‘make it’, grab a buck wherever you can, travelling the vast expanse of the US from the dustbowl to the down at heel playhouses, scrabbling for a slot to show your wares and pay for your next meal. 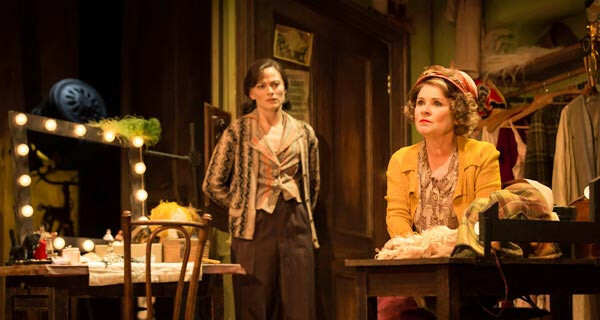 Though it is very much Staunton’s show, she is more than ably supported by Lara Pulver as Louise the daughter who eventually morphs from overlooked tomboy to the world’s most famous strip tease artist Gypsy Rose Lee, Gemma Sutton as favoured daughter June – still pretending to be nine years old when she’s clearly on the cusp of womanhood and Peter Davison as the affable and loyal Herbie. Credit must also go to the child actors of Rose’s ragbag vaudeville troupe who provide much of the first act laughs. This is a work of infinite quality topped off with one of the finest musical theatre performances you are ever likely to see. Truly unmissable.